New Model Specially For Masala Plants. - Volume : Max. 1800 C.F.M. - Pressure : Max. 2000 m.m. 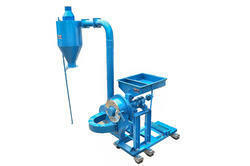 W.C.
High efficiency Two stage blower.Easy to operate and require minimum maintenance. We are providing the wide range of Double Stage air blower in ETP plante. Two Stage Blower Working with a belief to make our customers satisfied, we have brought forward with the range of Two Stage Blower under our product gamut. The Two Stage Blower we offer is manufactured using quality grade materials, cutting-edge technology and advanced machinery under proper guidance of professional ones. The impeller is directly mounted on the motor shaft. This arrangement is convenient when the speed of the blower corresponds to the rated motor speed. 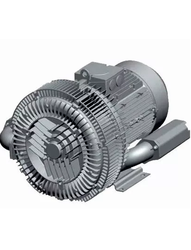 The motors to be used are horizontal foot mounted type, suitable for blowers up to size 60. The maximum temperature permissible for this arrangement is 100 Deg. ​The Donkin range of HPLV and FPZ single and multi-stage blowers offer compact design and a variety of casing materials. material from : ms, ss-304/316, alluminium. volume : Max. 1800 C.F.M. Pressure : Max. 2000 m.m. W.C. Robust, Welded, M.S. Sheets and Plates reinforced with angle iron frame, Suction side is provided with wire gauge to meet all safety standards. The Blowers can be supplied with any type of outlet direction of rotation and discharge to specific requirement of the Customers.